Gina Trippi is the co-owner of Metro Wines, 169 Charlotte Street in Asheville. Committed to the community, Metro Wines offers big shop selection with small shop service. Gina can be reached atgina@metrowinesasheville.com or 828.575.9525. To learn more about wines for the big day, visit Metro Wines’ Facebook page dedicated to weddings at Ashevilleweddingwines. Link to Laurel of Asheville for more great stories HERE! This post is from a previous FAcebook Post but it bears repreating. True story. Bride comes in yesterday. Says she is having her wedding at an Asheville venue where you must pick your wedding wines from their list or pay a BIG corkage fee. The venue would not let her taste the wines!! She came to MetroWines to buy bottles of the wines she chose so she could taste them! UNBELIEVABLE. We had one of the wines. It was, in the opinion of the staff, perhaps the worst wine you could offer for a wedding. Not very versatile with foods, a very definite taste and in no way a crowd pleaser. We don't even carry the second wine. Not one we want on our shelves and definitely not one you want on your wedding tables. Sad. Just sad. The idea that wines for your wedding are a place where you can save a few $$ is so yesterday. And you really need to question a venue that tells you otherwise. We can help you select quality for the price. We don't PUSH cases of wines bought on discount. And there is no one size that fits all. Your wine depends on your menu, your story, YOU! So 2 guidelines here. First, the wines you choose are part of the memories. You need to be right. Consult with us @MetroWines and make GOOD memories! And, second, a venue that won't let you taste the wines that you are buying doesn't GET IT and you have to wonder what else they DON'T GET! Sorry about the length of this post, but we are very disturbed. Your wedding is important, very important. And we take it that way. ‘Les Traverses’ are the dry stone walls which were built to support and protect the slopes in Ventoux from the significant erosion caused by the strong Mistral winds. 40+ year old vines on averag. From the foothills of the Mont Ventoux – clay and limestone soils with south/southwest exposure. Aged in 20% large older barrel and 80% in stainless tanks. 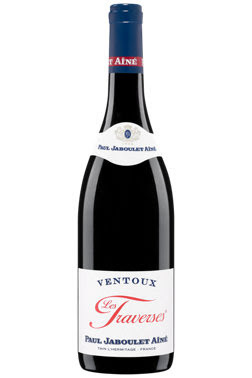 Blood orange, raspberry, fresh pepper and wild herbs emerge from this delicious Ventoux Rouge. complete perfectly the aromatic pallet and give us a medium weight palate. Fiji Wedding Started @MetroWines! Shouldn't Your's? Gina Trippi is the co-owner of Metro Wines, 169 Charlotte Street in Asheville. Committed to the community, Metro Wines offers big shop selection with small shop service. Gina can be reached atgina@metrowinesasheville.com or 828.575.9525. Laurie and Woody meet Thomas Meunier of AuthentiqueVin, the importer for the sparkling wine, Rose Granit, they served to toast an celebrate their vows. That happens @ and ONLY @MetroWines! Beautiful bride, Laurie, with her handsome husband, Woody, toasting with Rose Granit Sparkling French wine from Thomas Meunier and AuthentiqueVin. Guests said that Rose Granit is "like drinking pastels!" On September 15th, Thomas Meunier will be @MetroWines and Laurie and Woody will have the opportunity to meet the importer of the "toasting wine" served at their wedding. That happens @ and only @MetroWines! Want a unique wedding experience? A memory you can treasure? A story you can tell forever? Call Hayley @MetroWines at (828) 575-9525. Why? Hayley studied Opera for 3 Years at Louisiana State University, while crafting Latte Art designs at an Italian Cafe and Gelatoria. Working with the owner, she learned to make handcrafted scratch made Gelato through true Italian pasteurization techniques which began her focus towards the food industry. She was awarded best frozen treats for "225" Magazine in Baton Rouge for her 150 different unique recipes on Gelato. Transitioning a small shop into a full restaurant with Chef Marcus Day, the two showcased his cuisine offering amazing and innovative wine dinners! From then on, she was fascinated with finding perfect wine and food pairings. Bottom line: Hayley knows wine and food and Gelato! and how to put them together to make any event special and memorable. And all that experience partnered with her interest in celebrations and sharing that joyful spirit lead Hayley to weddings. She loves meeting the wedding couple, friends and family, and helping them to plan the perfect wedding pairings! "Planning your celebratory wedding drinks should be exciting, fun and easy," says Hayley. "That's what we do from the moment you walk in the door to celebrate your engagement. We can help you select just the right wines and beers for every aspect of your menu all the way through to that gorgeous bottle of bubbly!" Weddings start @MetroWines. Call Hayley at 828-575-9525.